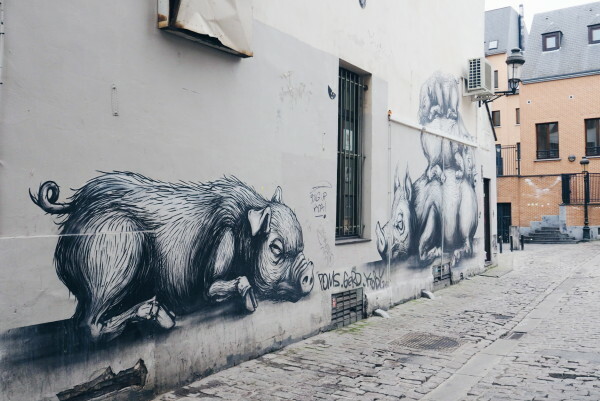 When I started writing this blogpost, something awful happened in Brussels. Several terrorist attacks changed the face of this European capital and time stood still. I was in Brussels a few days before it happened so it felt very close. The people of Brussels that so warmly invited me to enjoy their city and taste their food, sleep in their amazing hotel and opened up their wonderful shops. That’s why I feel it’s even more important to shine a positive light on this city and share my experience. 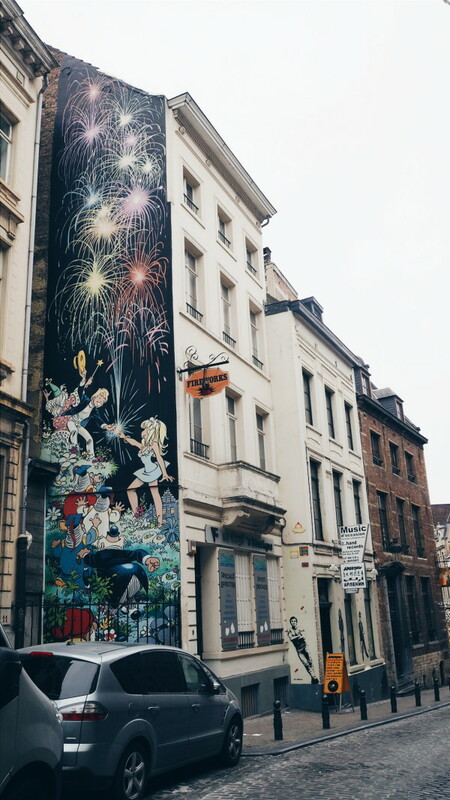 Brussels is only a few hours away from my hometown but crazy as it seems, I had yet to discover it. I had the opportunity to explore it when hotel The Dominican invited me for a visit. Traveling to Brussels is extremely easy by train. The Thalys takes you there within a few hours. I love traveling by train because it’s fast, quiet and I can do some work without getting distracted. 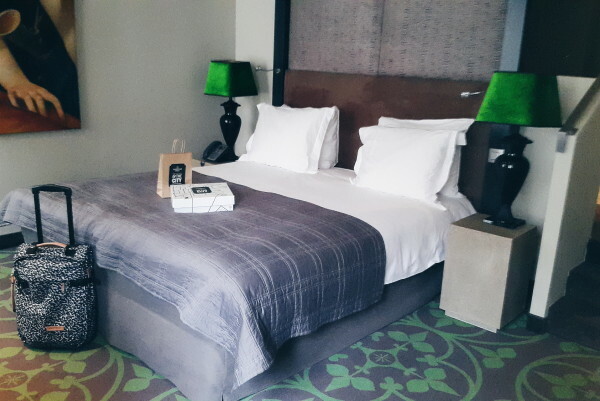 During my stay in Brussels, I slept in funky design hotel The Dominican. 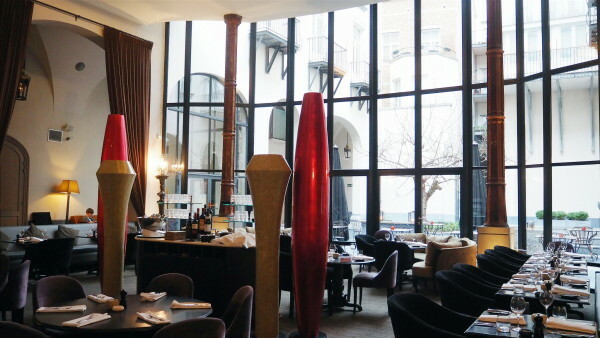 This hotel has a history and dates back to the 15th century. It used to be a Dominican monastery (hence the name) and was later the home to Jacques-Louis David, a artist/painter. It was later taken apart and rebuild to this hotel but a lot of main features have remained intact such as the impressive entrance gate. Their courtyard features a fig tree that has been moved there from a square in Brussels where the monks use to sit to chat and read their books. Pretty cool! Every room in the Dominican is unique and I got lucky because they gave me an upgrade! It had something to do with the mystery box that I found on the bed.. 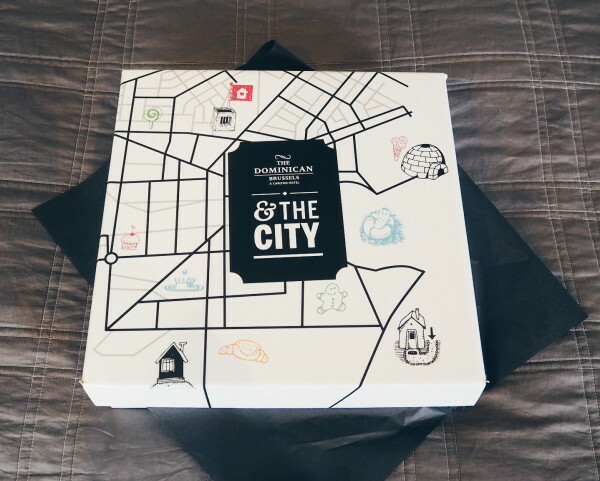 The Dominican has a cool concept called: The Dominican and the City box. You can purchase this box with your room for €50,- extra which automatically gives you an upgrade, champagne and a late check out. (so the cost are already covered with those extra’s) Inside the box you will find several objects and notes that give you discounts, goodies, tips and tickle your curiosity. It wouldn’t be fun to tell you what’s in it so I would advice you to buy it and find our for yourself.. It’s a perfect gift for your partner or friend! 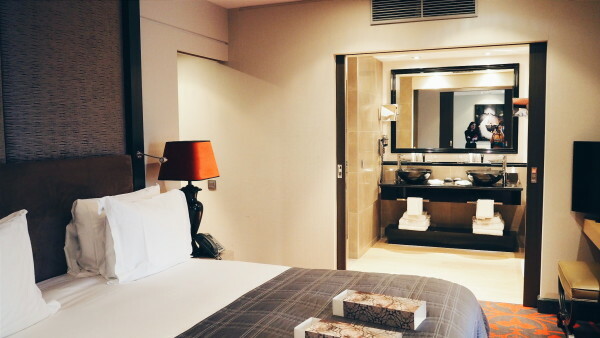 You can purchase the box online when you book your stay or you can buy it at the reception upon arrival. The inside of the box changes now and then especially when it’s valentines day or holiday season. The mystery box full of fun things! Famous and dressed up! 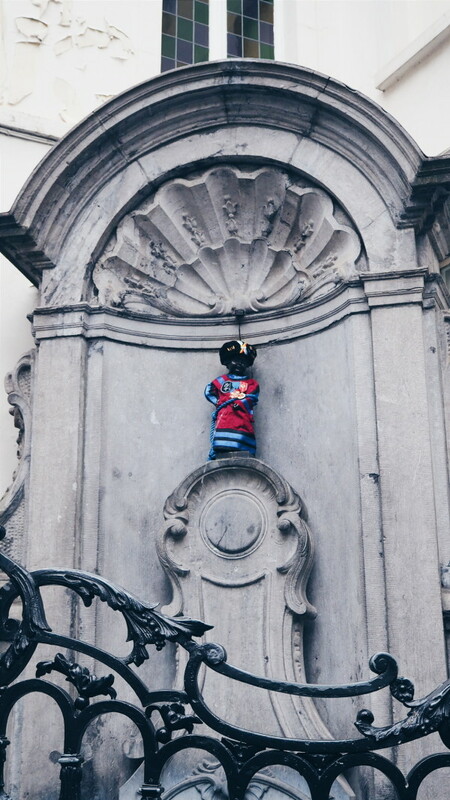 Manneke Pis. Want to experience The Dominican? 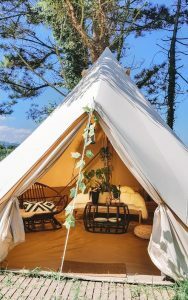 Check their website or book here! Fear is something that will drive us apart, let’s keep on loving, exploring and wandering. Also in Brussels. I did a similar short trip to Brussels last year with my best friend and we also stayed at The Dominican! Isn’t it wonderful? 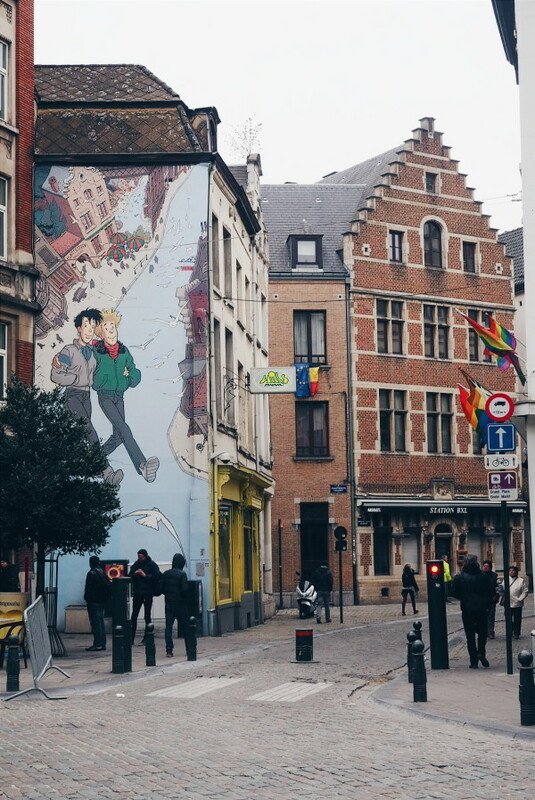 I loved Brussels, particularly all the lovely streets and beautiful scenes. I was so shocked and saddened to hear about the attacks a few weeks earlier, thinking of all the wonderful people we interacted with during our visit there. I hope to go back soon! Thank you for this post. We left our little hometown almost three months ago and your writing reminded me on how cute and special it is.